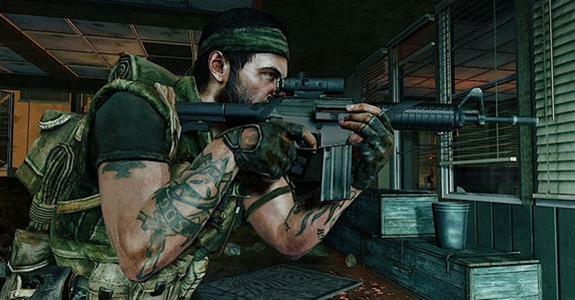 In less that two weeks, on February 1st, Treyarch is releasing Call of Duty: Black Ops – First Strike on Xbox 360 first. This DLC will be available for 1,200 Microsoft Points. These new features include five new multiplayer maps, four multiplayer maps, and a new Zombie experience. That’s cool, right? Included are “Berlin Wall,” allowing combat on both sides of the imposing wall; “Discovery,” a desolate, frozen German outpost in the Arctic; “Kowloon,” battle in the rain along the rooftops of a towering Chinese sprawl; “Stadium,” an intense locale with a pro hockey arena backdrop; and “Ascension,” where you fight zombies in a Soviet launch facility.